The various Instagram ad sizes and specs are daunting to the majority of us. Updates, new feature releases and much more make this a task not suitable for the faint of heart. Some of us have our in-house documents floating around with the appropriate Instagram ad sizes–but who updates it and keeps track of the changes? That’s where we come in. Let us give you a bookmarkable blog post that includes everything for your Instagram needs. In the incredibly short time span of March to September last year, Instagram monthly advertisers grew from 1 million to more than 2 million. Marketers see Instagram as advertising gold because of the unique opportunities to engage with users. 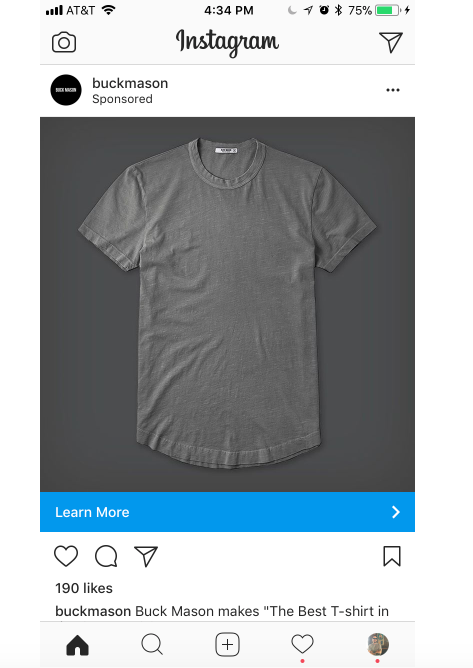 And for Instagram image ads, there’s nothing quite like taking up the majority of a device’s real estate with a single ad. Think about it–Instagram is really the only “one at a time” scrolling social media platform–so ads get users full attention. Instagram landscape images are typically wider and do not take up the traditional full square of the Instagram post. The Chicago School of Media Theory explains landscape art is typically viewed as a representation of mountains, prairies or inland scenery, which focuses on the spectator. You didn’t realize you were going to get an art history lesson–did you? But landscape images have a unique purpose to show the entire scene. This is ideal for brands who want to go all out to provide breathtaking glimpses into their world. The recommended landscape image ad size is 1200 x 628 pixels. The proper aspect ratio is 1.9:1. All the caption maximum length is 2,200 characters, but 125 is recommended. Much like the landscape format, an Instagram square image focuses on width, but takes up more space of the overall post layout. The square doesn’t use all the space provided per post and typically is used for portrait-style images. You don’t have to limit your scenic images to landscape, but make sure the square format doesn’t crop your images awkwardly. The recommended square image ad size is 1080 x 1080 pixels. The proper aspect ratio is 1:1. Possibly the most popular photo size organically is the vertical, or portrait image. This is due to the fact it’s what your image is preset to when you snap an image on the app or upload one. However, the specs are not much different besides the overall ratio and resolution. The proper aspect ratio is 4:5. Pro Tip: Remember when creating ads in the ad creation feature, it’s possible to select Crop Image. This helps you ensure your ad comes out exactly how you planned. Did you know a quarter of all Instagram ads are single videos? The popularity of video isn’t just surging on Instagram either. But to make sure you’re on top of your video strategy, you must ensure you’re using the correct sizes and specs. Just like the landscape image, Instagram’s landscape videos are for the same scenic purpose. This style of video allows users to showcase a more cinematic approach to video–mostly viewed on mobile–for its followers. The proper aspect ratio is 1:91:1. Recommended video formats include MP4 and MOV. Max video size for all formats is 4GB. Max video length for all formats is 120 seconds. Video max frames is 30fps for all formats. Not much changes when you select the Instagram square video format. Pay attention to how your ad and call to action appear on a mobile device–not to crop anything important in the actual video. Instagram square video ad minimum resolution is 600 x 600 pixels. As you’re likely gathering, organic and paid formats are similar. And for vertical video ads, make sure to pay attention to the resolution and aspect ratio changes. 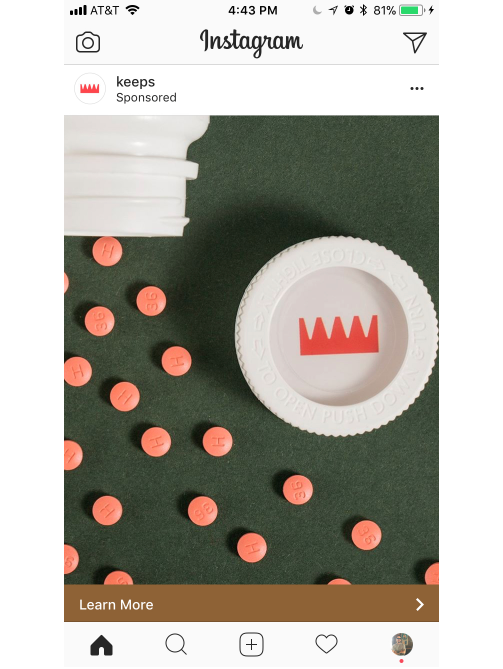 Instagram vertical video ad minimum resolution is 600 x 750 pixels. You didn’t think we would forget Instagram Stories here would you? We’d never! More than half of brands have posted an Instagram Story? Not only that, but the addition of Stories drove the time spent on Instagram by users up nearly 28 minutes. 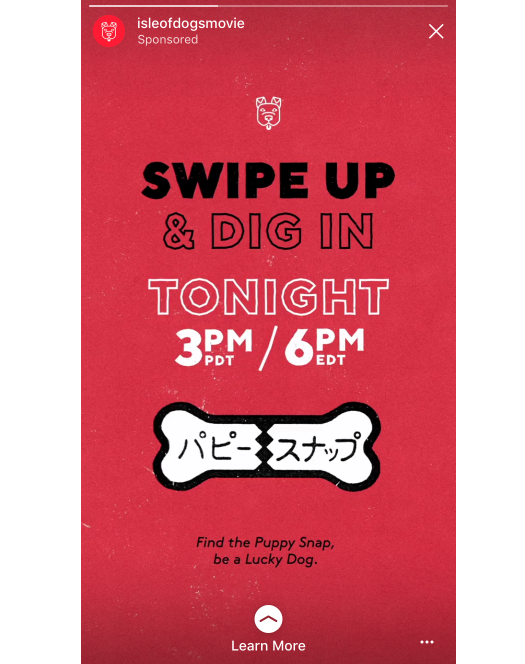 Instagram Stories have a lot of features that make single image ads ideal for your marketing campaign. With GIFs, stickers and marker tools, you can easily direct users to clicking or swiping to find more information. The Instagram Stories image ad recommended resolution is 1080 x 1920 pixels. The minimum resolution for Stories ads is 600 x 1067 pixels. The proper aspect ratio is 9:16. Max image size is 30MB. Pro Tip: Additionally, advertisers may want to limit overlay text on images as Facebook’s Ad Manager could reject your image. Consider this for all image formats as well. According to Social Media Week, roughly 70% of Instagram Stories videos are watched without sound. It’s really important to make sure your videos drive the right message, all within the correct specs. The Instagram Stories video ad recommended resolution is 1080 x 1920 pixels. All formats should be either MP4 or MOV. Max video size is 4GB. Must have a resolution minimum of 720p. If a carousel option for Instagram advertising sounds familiar, that’s because Facebook has carousel ads, too. If you’re like anyone else on Instagram, you flip through content at blinding speeds. Why not try to keep users around for awhile with more than one piece of visual content? The recommended resolution for an Instagram carousel image ad is 1080 x 1080 pixels. Max image size is 30MB per image/card. 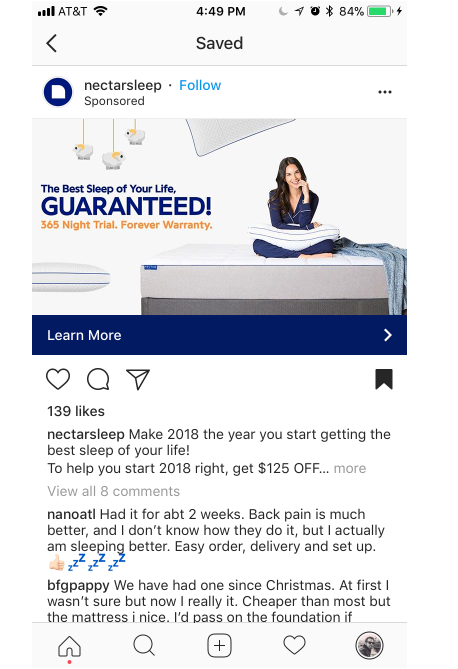 Instagram allows 2-10 images/cards per ad. Something many users forget is that you can use up to 10 videos for a single ad! Make sure your brand has the right balance of content as not to overwhelm your audience on a single post. The minimum resolution for an Instagram carousel video ad is 600 x 600 pixels. The maximum resolution is 1080 x 1080 pixels maximum. All formats should be MP4. Max video size is 4GB per video/card. Max video length for is 60 seconds. Instagram allows 2-10 videos/cards per ad. Pro Tip: When you create Instagram carousel video ads, there must be a thumbnail image. The ratio for this image is recommended to match the 1:1 video aspect ratio. Additionally, thumbnail images cannot have more than 20% text taking up the image. To find more information, check out the Facebook Help Center and Instagram Business Help Center. Want to know more visual specs? Check out our complete guide to all the social media image sizes and our complete social media video specs guide as well!